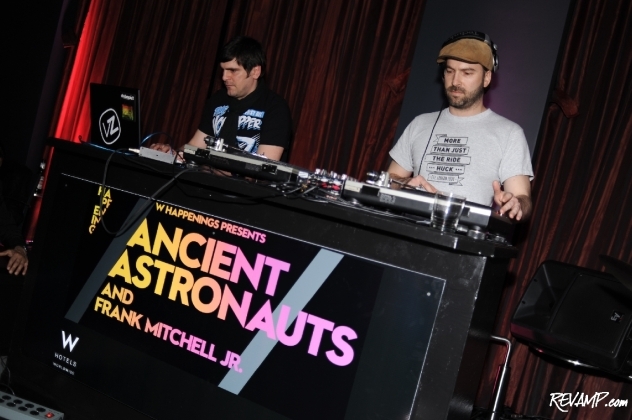 Ancient Astronauts & Frank Mitchell, Jr. 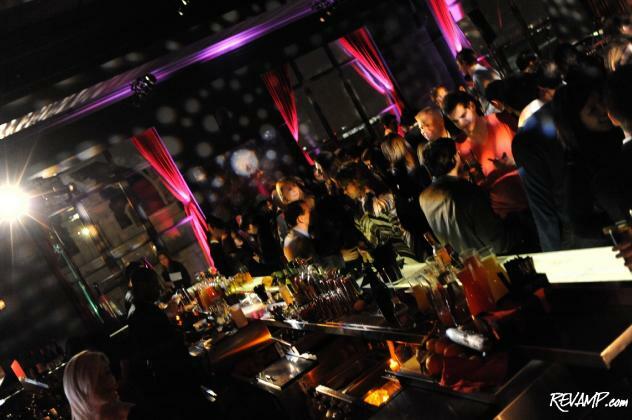 Happen Into P.O.V At The W Washington, D.C.
Not your typical evening at P.O.V! Be sure to check out all 71 of our photographs from this event HERE! NORTHWEST -- The elusive Washington hipster is a mysterious creature. Prone to wearing skinny ties and vintage dresses, he/she seldom ventures outside his/her natural habitat: the hopelessly cool U Street corridor. However, as with any rule, there are exceptions and Thursday evening proved to be one of them, as hundreds of the city�s trendiest braved a torrential downpour to attend an exclusive South by Southwest preview concert featuring ESL Music artists Frank Mitchell, Jr. and Ancient Astronauts. Co-hosted by the �slightly overexposed� team at Brightest Young Things, last night�s concert was the latest event to emerge from the W Washington, D.C. hotel�s �W Happenings� series � a recurring program that provides Washingtonians with the opportunity to experience something special while enjoying the venue�s much-lauded facilities and hospitality. 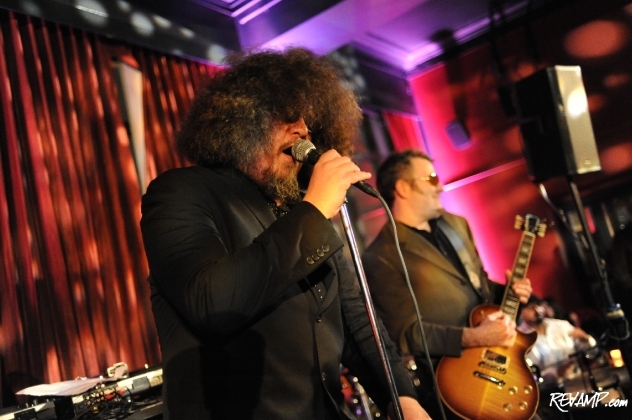 Much like the weather outside, guests poured into the W�s blue-tinged lobby area starting a 9:00 p.m., with Frank Mitchell, Jr. and his full band taking the stage just before the turn of the hour inside P.O.V�s larger-than-life rooftop lounge area. Frank Mitchell, Jr. and his stage band. 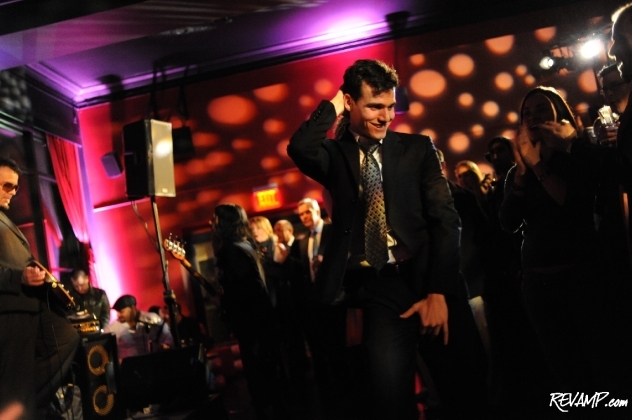 Mixologist Joe Ambrose and his team ensured that everyone quickly had a drink in-hand and the dancing began almost in concert with the live music. Headlining DJs Kabanjak and Dogu, the production duo that makes-up Ancient Astronauts, then took the musical reigns to the party and kept the crowd energized well into the morning. Ancient Astronauts served as the night�s headlining act. With the Tuesday launch of its second studio album on the ESL Music imprint and a national tour, including a stop at the famed SXSW Festival in Austin, planned for the next few weeks, last night�s concert served as the perfect send-off party for Ancient Astronauts. A �W Happening� night to be sure.